Custom integration company specializing in home automation, distributed audio/video and home theater design located in Little Rock, Arkansas. Deboard Electronics has been a trusted name in Central Arkansas for over 60 years. We offer the most up-to-date options in home theater, media, outdoor living, home automation, and mobile systems for your automobile, golf cart or boat! 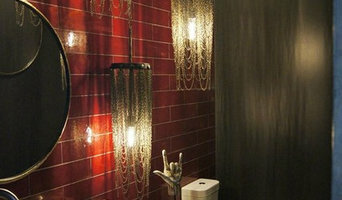 We provide complete design and installation for all of the products we offer and we guarantee our work. Most importantly, all of our work done in your home or business is conducted by well-qualified installation experts with years of training and testing. Call today for your FREE consultation with one of our lifestyle electronic entertainment consultants. InstallAV will turn your Home Theater dream into a reality. 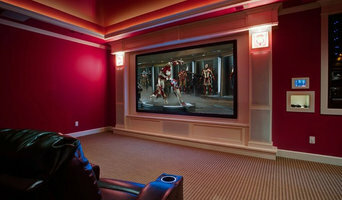 Our Home Theater installers are well educated, experienced, and trained professionals. We provide clean and efficient AV installation techniques whether it’s a simple TV installation or a complicated surround sound Home Theater System with custom remote control, and Home Automation. We understand value, and we make sure that your project plan is reviewed many times, and than installed correctly the first time. This process saves an enormous amount of time, money and frustration. We will work within your budget and make sure that we will stay on it. InstallAV knows that Home Theater buyers demand a little more for their money…and they should. After all it is a major investment designed to work for many years. Our team members are experienced in new construction of home theater installations, as well as to retrofitting an old construction to accommodate an upgrade to an existing system. We are happy to work directly with your designer from the initial planning stages right until completion of your project. We encourage licensed contractors to inquire about our designs and ready predesigned packages. We also offer wiring-only services to contractors during their new construction jobs, as well providing the necessary audio video equipment. ABOUT US Over twenty five years of excellence… Phil Dively started Online Technologies, Inc. in 1985 as an IT company offering personal computers and networking services. In 1990 we were one of the first IT companies in the country to integrate “IT” and “AV” by adding computer projection equipment to our core products. Because of our background and reputation for excellence, we have been able to partner with many leading manufactures in our industry. This direct relationship allows us to learn about new technologies before they are available as well as offer our clients current products at specially negotiated pricing. To keep up with current trends and technologies, our staff has collectively been educated and trained in electronic and computer engineering. In addition, we frequently attend national trade shows and continuing education events. As the audiovisual industry continues to evolve with cutting edge products and integration technologies, Online Technologies is prepared to incorporate them into your application! Custom audio video electronics sales, design, and installation. Welcome to Audio Dimensions. We are here to assist you in designing the ideal entertainment and/or home automation system of your dreams. Our engineering and design team will gladly work with you to bring the latest technology to your home or office while blending elegance and lifestyle ease. Travel throughout the website to discover the world’s highest quality audio, visual and home automation equipment manufactured today. Stop in our showroom to experience what each component offers. Be blown away by the possibilities. We specialize in the latest technology for both home and business security and fire protection, as well as surround sound systems and whole house audio. At Audio Express we offer the best in Home & Car Audio/Video solutions. 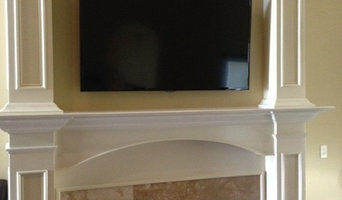 Our custom home installers and sales team can design and install a home theater custom fit for you. We have every component needed for your theater. From projection screens and projectors to Speakers, Receivers, and Theater Seating, Custom In-ceiling and In-wall Speakers for your Surround Sound, Whole House Audio, Home Automation, Central Vacuums, Universal Remote Controls, Blu-Ray, HDTVs, HD Radio, Satellite Radio, and Landscaping Speakers. We offer many of the best brands available like Yamaha, Sony, Samsung, Klipsch, Paradigm, Toshiba, Niles Audio, Speakercraft, and NuVo. 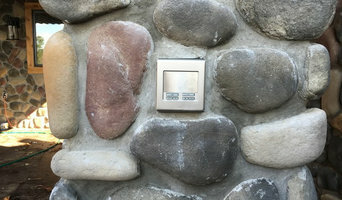 Let Audio Express design and install a system for you today, in your new construction or existing home. We custom design and install commercial and residential audio/video systems, including control automation systems, security cameras, and programming universal remotes. We're a company of friendly, trustworthy and passionate technologists. Our love for creating one of a kind audio visual environments is what brings us together. The award winning Carnes Audio Visual is located in Little Rock, Arkansas. Our focus is on integrating innovative residential and commercial technologies while providing exceptional customer service. We utilize our unique vision to design elegant automation and entertainment systems for today’s home and business. To the right, we've created a check list of what to look for in a Residential or Commercial Audio Visual Technology Design and Integration Firm. You'll notice we hit the mark. Arnold Audio was founded in 1989 by Joe and Sage Arnold. We are a family run business whose skilled team strives for complete client satisfaction by working closely with clients, contractors, architects and designers to provide the latest in cutting edge Home Automation, Lighting and Audio/Visual technology. Home media specialists not only can design the seating and decor for your dream home theater, but most of them can help you find specific media control options, conceal your television and various accessories, set up optimal seating, choose and install ideal lighting, and help create the ultimate viewing environment. Some of these Arkansas professionals work entirely on their own, while others work with subcontractors to get the job done. Here are some related professionals and vendors to complement the work of home automation & home media: General Contractors, Interior Designers & Decorators, Paint & Wall Covering Dealers, Furniture & Accessories, Specialty Contractors. Find a home media designer on Houzz. Narrow your search in the Professionals section of the website to Little Rock, AR home media designers. You can also look through Little Rock, AR photos by style to find a room you like, then contact the professional who designed it.